I’ve been doing some organizing in my kitchen, specifically the cabinets. I have a tendency to reorganize things that aren’t put back properly by my kids or husband. 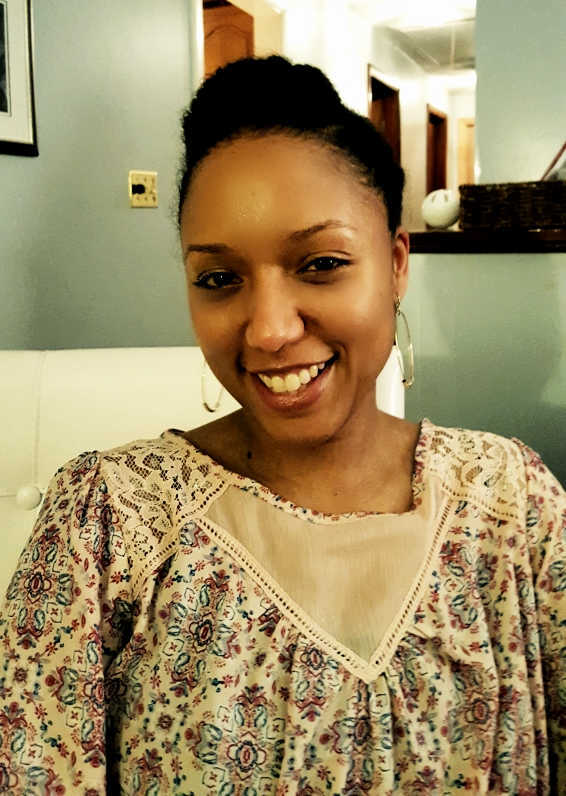 It’s a terrible habit that I am trying to break, but I’m also trying to make it easier on my family by putting systems in place that will work for all of us. This diy baking pan organizer is a gamechanger! With this organizer in my cabinet, I can not only see all the baking pans I have, but I also got rid of the hassle of having things stacked on top of each other. 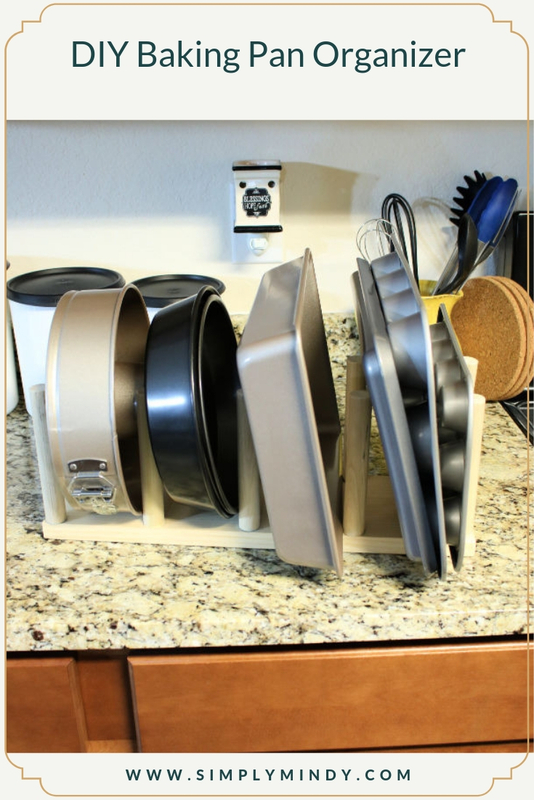 I created this baking pan organizer for my cabinets, but feel free to use this in other areas of your home! An organizer like this could be useful in a pantry, closet, bookshelf, you name it! This project took me less than an hour to put together and cost only a few dollars! I’ll bet you won’t be able to find a similar organizer that’s as sturdy and customizable! If you do, let me know! 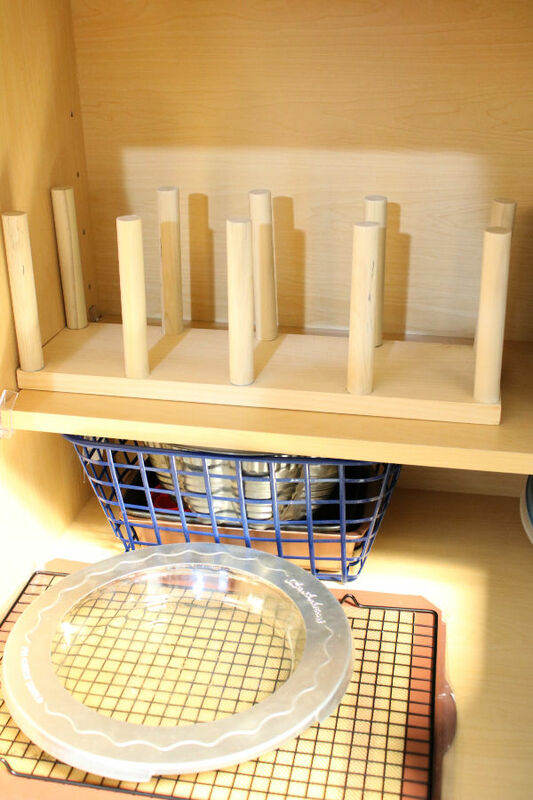 Pin this DIY Baking Pan Organizer for later!